OLD PARKED CARS. 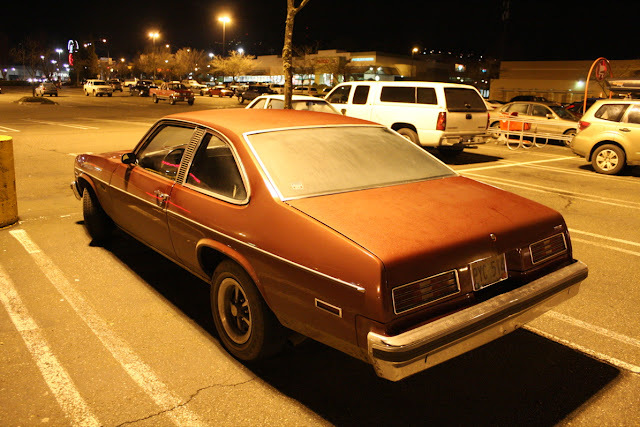 : 1976 Pontiac Ventura. Wow. I had to come back to look at these photos a second time to really appreciate how stunning they are. You're capturing something very subtle about this car - the color, the tone of the lighting, the way the pavement is illuminated, the condensation on the hood and windshield. Gorgeous. And so easy to overlook. Don't know how you guys consistently manage to do this. I wouldn't guess that this would be an era of American car I'd ever want to picture myself in, but the profile picture is so timeless and subtle that I just really like everything about it. I want to be sitting inside, as long as it looks somewhat along the condition of the outside. I have no idea what power, weight or options this car had, but I find myself not caring. It's a pure example of a 1976, with no modern evidence of that being a bad thing. These must be the reasons I've loved all two Venturas I've ever seen. I love the originality of the setting the,the photos looks amaizing in a backdrop of really smooth lighting in the background.It gives you a feel of sunsets,in the Caribbean. 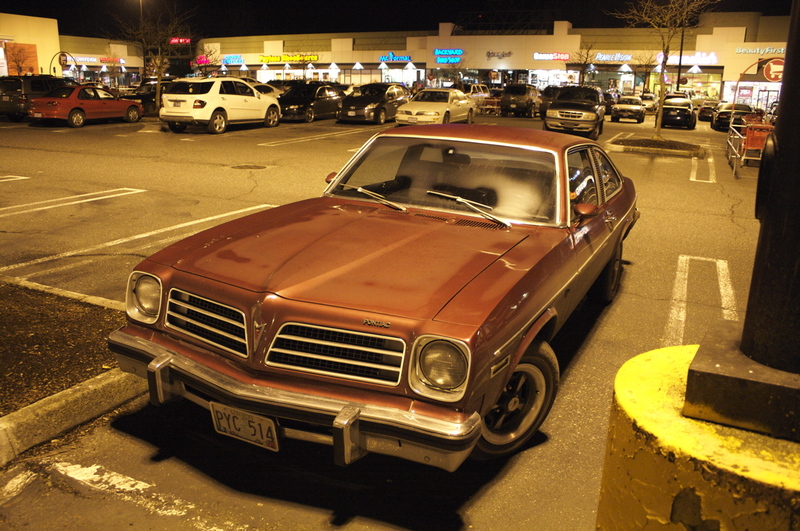 Living in the frosty upper midwest, it never ceases to amaze me how benign the climate is to old cars in PNW. I haven't seen a complete mid 70's Ventura in at least 20 years. I find myself lusting after this old RWD X body... Wow! it's pure 'smokey and the bandit' era american design, the appeal in europe is astonishing. 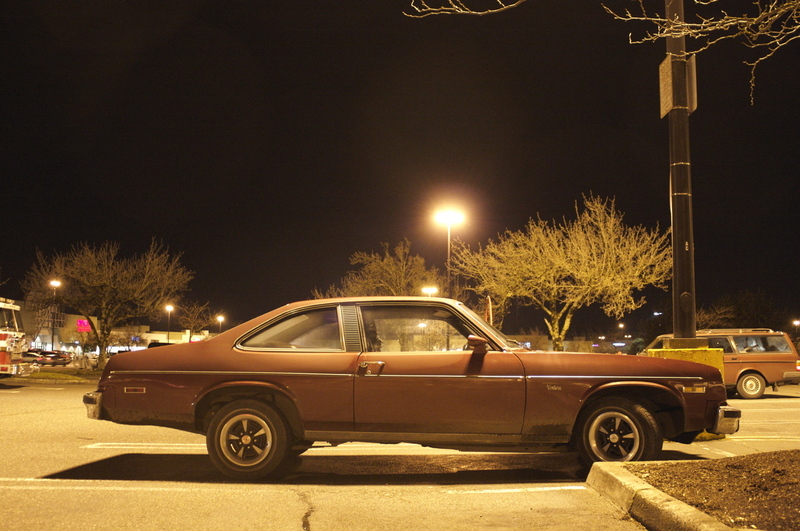 Like the chevy vega, theres a link with the lines that OPEL was using at that time. Love it. Great lighting on these shots, love the set up on the Ventura-brown with Pontiac rallye wheels. This body has been raised. Front and back.